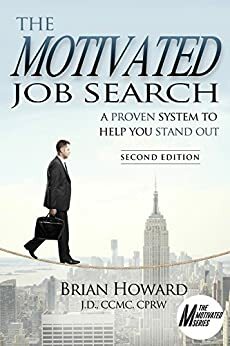 Brian is the author of the Motivated Series of job search books. These books include: The Motivated Job Search, The Motivated Networker, Over 50 and Motivated, The Motivated Job Search Workbook, and Motivated Resumes and LinkedIn Profiles. Brian is available for speaking engagements on a variety of topics related to a job search and career transition. Presentation content is designed for career-minded professionals that want simple and direct answers to questions on how to effectively conduct a job search in today’s job market. Presentations are fast-paced, informative, enlightening, and engaging. Presentations are customized for time allotment and content.